I have the very greatest prayer partners on the face of the planet. No joke. Just this morning, two of us carried our coffee mugs down to the basement where we proceeded with a pre-dawn outcry before the Throne of Grace on behalf of our families, our friends, our nation, and our persecuted brothers and sisters in Christ worldwide. While one of our members could not make it this particular day, these ladies are my go-to warriors, my trenchmates on the front line, my confidants. With them, I confess sin with unabashed candor, knowing that they will join me in lifting up a broken and contrite heart as well as in the celebration when a particular sin has been vanquished. We laugh and cry, we make pleas for the salvation of friends and loved ones who walk in hopelessness, we praise our God that He provides us with enough difficulties along the way that we never forget our incredible need of Him. Together, we pray that we will not only be partakers of grace, but givers of it as well; that merit for any good deeds will be credited to His account and not to ours. This morning, one friend and I chatted for quite a while after we had knocked fervently at the pearly gates. As our small group is doing a Scripture-based study on marriage, we were thinking back to our selfishness with our spouses early on in our marriage and discussing areas where we may still owe these dear men an apology. 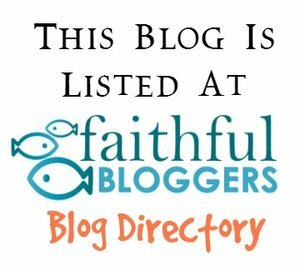 If you have perused this blog for long, you’ll know from a past post that my marriage did not begin with a typical “love and courtship” type of relationship. We did the commitment thing first and worked on the love part along the way. Through it all, that vow about “in sickness and in health” has been well-tested for my longsuffering husband. He has stuck with me through babies, routine illnesses, meningitis, a surprise baby on the tail end of recovery, and chronic migraine. Years of chronic migraine. In fact, I had one yesterday (first in 2 weeks, though, so celebrate with me!!). In the midst of it, I had a tutoring/study skill coaching session with one of my part-time daugthers who also struggles with migraines. After some meds and a nap, I composed a quick email to her dad (my adopted brother/sensei/co-small-group-leader)… and subsequently had to compose another quick email to clarify my muddy thoughts from the first one. Since then, I have been thinking about those words, especially in the context of my early-morning discussion on marriage. For anyone who deals with any type of debilitating or life-altering medical condition or chronic pain, patience can quickly run short. In the fog of fatigue or the pestilent gnawing of pain, it can be difficult to answer your children softly or speak with respect and love to your spouse. On days in which the old gray matter is sluggish and each thought seems to be extracted with great effort as if wrested from some glutinous quagmire and even basic tasks loom to towering heights of impossibility, a body needs an extra measure of patience just to exist. In such situations, it can be tempting to see oneself as a bit of a victim of circumstance. Yet in reality, it is my husband who has been the victim here. When I am annoyed with my own inability to string a handful of words together, how much more patience must it require for the man who listens and struggles to comprehend my disconnected (and often repeated) words? If fatigue leaves me feeling frustrated with of piles of unfinished tasks, how much more frustrating for him to watch me fight a battle we both know I cannot win? If it is a great feat of composure for me to handle my teenagers’ vitrolic responses delicately when I feel that gentle stabbing behind my left eye, how much more patience it must require for them to respond to me when I am (quite literally) out of my mind – or for my Man to listen to the lot of us? Thank you so much for your years and years and YEARS of unswerving, unwavering patience and for your example of uncompromising, Biblical love! Ah, Lord! Forgive me for my self-pity and thank You for an amazing husband who is also an incredible father. May I learn to count the cost of my words as well as he does and spend them as carefully. Let the word of my mouth and the meditation of my heart be acceptable in Your sight! Amen! … love does not envy or boast; it is not arrogant or rude. It does not insist on its own way; it is not irritable or resentful; it does not rejoice at wrongdoing, but rejoices with the truth. Love bears all things, believes all things, hopes all things, endures all things. Hello Heather. I felt the message you passed across in your post. Really touching. I thank the Lord that you can see Lord Jesus in your husband. In one of your previous posts you mentioned in your reply to one of my comments that the migraine has been for about a decade. That’s quite an experience. I had a migraine for a few months about 2-3. It wasn’t a joke. The pain and the blackouts were really disturbing. Jesus healed me by faith in His Name. What a relief it has been since then. Although we all seek for ease, Father’s Love for us is shown in many ways, including in our weaknesses. I pray that the power of God establish healing in your body. I also thank God for your husband and your family. Remain strong Dear Heather. Enjoy Father’s Love in your husband. Thank you so much. Yes, our Lord has taught me much through migraine, and I feel certain He will heal me if and when it serves His purposes. However, for now He has reminded me constantly of 2 Corinthians 12:7-10. I think I, like Paul, need a constant reminder of my need for Him. Thanks as always for your encouraging and loving words. May the love of Christ be abundantly with you this day and always! You are so blessed! How I wish I had prayer partners and friends like yours. Thank you for transparency. Yes, I will celebrate along with you the small breakthrough regarding your health. May there be many more.